Pressure headaches are the most common types of headaches. They can occur when something such as mucus, blood, or cerebrospinal fluid buildup and causes increasing pressure. A growing tumor in the brain can also cause such headaches. 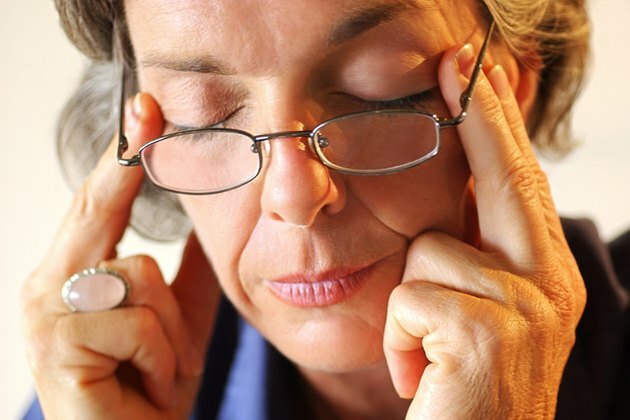 Migraines, stress and sudden changes in air pressure can also cause pressure headaches. Pressure headaches are among the most frequent symptoms of brain tumors. The growing tumor causes pressure inside the head. It is typical for brain tumor related headaches to be at their worst in the morning. Such headaches also tend to become more frequent and worsen over time. Besides headaches, brain tumor patient can also suffer from nausea and vomiting, says Cancer Help. The pressure headaches tend to worsen in the patient bends over, coughs or sneezes. Hydrocephalus is a medical condition in which cerebrospinal fluid accumulates inside the brain, causing intense pressure and, thus, headaches. Hydrocephalus is most common in infants, but it can also be found in older children and adults. Hydrocephalus can happen after bleeding in the brains. In some cases, hydrocephalus is inherited, or it can be caused by disorders in cerebrospinal fluid production. In infants, hydrocephalus can also be caused by certain illnesses that mother transmits to the fetus. According to the National Institutes of Health, hydrocephalus can be treated by inserting a shunt system that diverts the flow of cerebrospinal fluid from the brain to another area of the body where it can be absorbed. Sinus infections can also cause pressure headaches. Pressure headaches are also common in sinus infection patients, when respiratory infections or allergies are causing sinus congestion and inflammation. Healthy sinuses allow mucus to drain, but when sinuses become inflamed, they mucus is blocked inside of them and causes intense pressure. According to the University of Maryland Medical Center the symptoms of sinus infection include fever, green or yellow discharge from the nose, fatigue and red, swollen nasal passages. The sinus pain is typically worst behind the eyes and in the forehead. Sudden movements worsen the pain, and the worst pain is typically experiences in the morning because mucus has been collecting in the sinuses over the night.